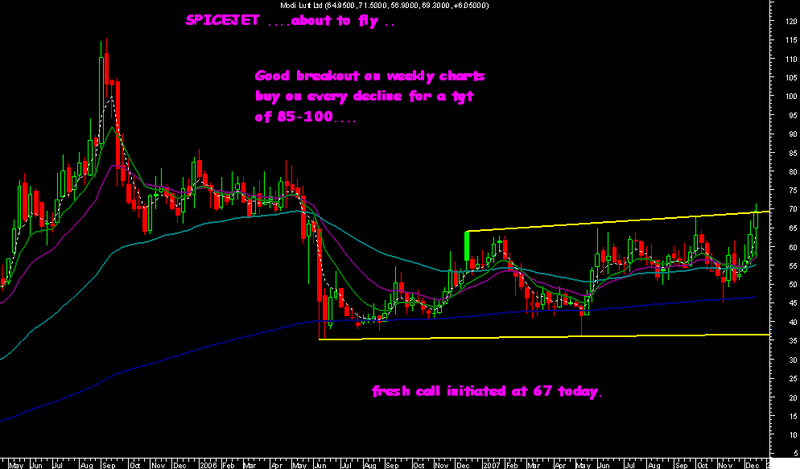 Spicejet ….all set to fly..
Spicejet has given an excellent breakout on weekly charts today as expected . 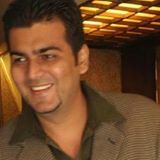 We had initiated a high risk punter call on it few days back .The current breakout indicates buy half or more now and slowly on every decline for a short to medium term tgt of 85-100 or more. 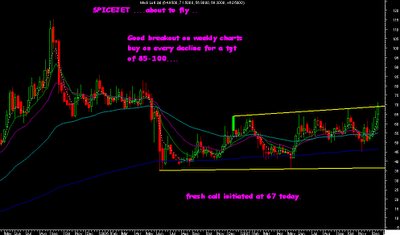 High risk punter call buy SPICEJET for 3-6 mths stop of 52 tgt 75 . MESSAGE sent today to clients in the evening. Spicejet moving .... breakout level for momentum is 67-70 zone above which tgt is 85 -90.